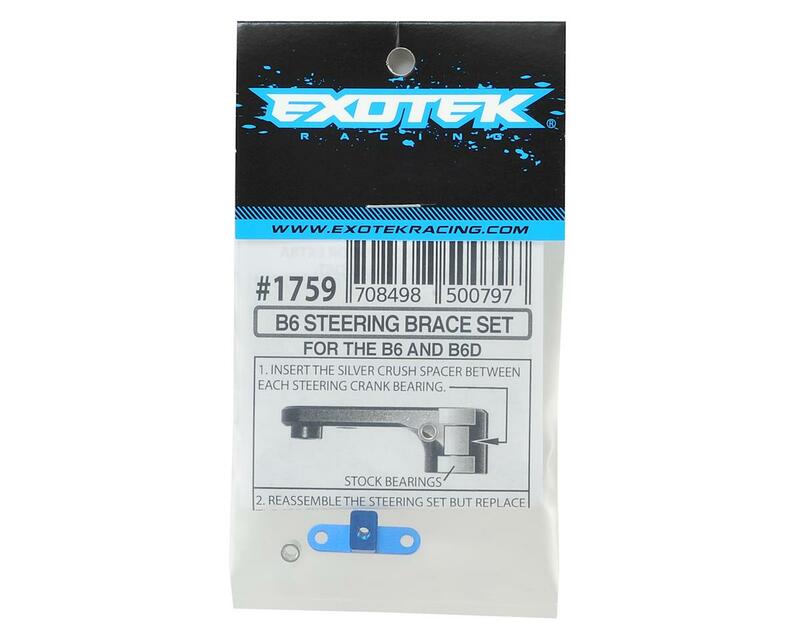 The Exotek B6/B6D Aluminum Upper Steering Brace plate and steering crank crush sleeve set strengthens the steering assembly from bending at the mounting screws and provides support to keep the steering crank bearings from binding and breaking. 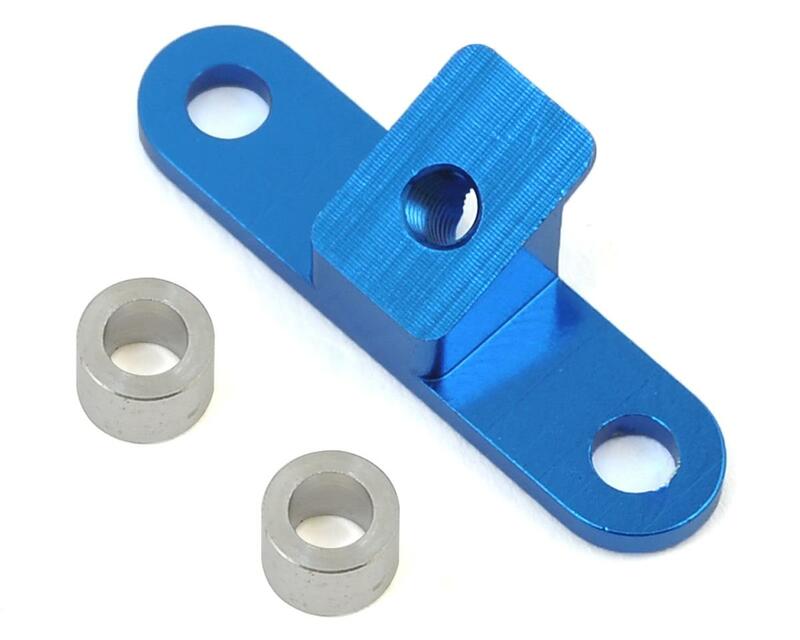 The brace is shaped to fit into the pocketed area of the upper plate and keeps the steering from bending or flexing at the bearing screws. Complete assembly weighs only 1.2 grams.